Jodie Marsh has shared a video of herself administering CPR to her dog in the hope it will help other pet owners. 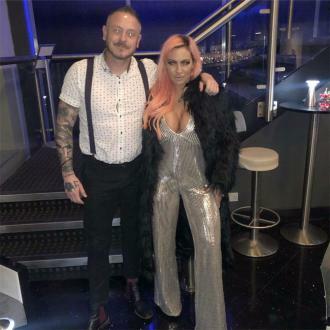 Jodie Marsh saved her elderly dog's life when he choked on a treat. ''Earlier today this happened and my mum filmed it. Louie my bulldog has an elongated soft pallet which makes it difficult for him to breathe and eat. He often collapses when eating and for over 2 years now I have been blending his food into a liquid. We had given all the dogs some treats today and Louie had picked one up that was too big for his throat. ''He choked, passed out, went completely limp, urinated on himself and his tongue went blue. This happens every couple of months with Louie and it's so bad you would honestly think he's dead. He has no signs of life. 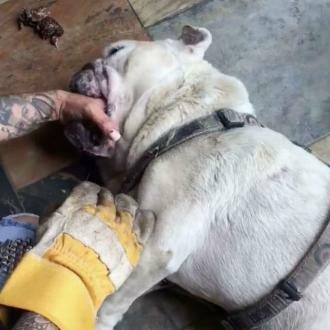 ''Pardon my CPR skills (they may not be perfect but he's alive and well and that's all that matters and the reason I kept going after he gurgled and showed signs of life is cos he was fitting and cos I couldn't hear him breathing), but please watch and learn and show to ANY bulldog owner. You CAN bring them back round if they collapse like this. Mostly they collapse either from heat or from choking (or both). ''Ways to avoid this happening are NEVER take them out walking in hot weather and blend their food into a liquid. I use Natural Instinct raw food and when you add water to this it automatically turns into a soup like liquid with some stirring (it's perfect for dogs with soft pallet problems). Jodie - who had been administering aid to Louis for three minutes before the five-and-a-half minute video began - went on to advise how best to bring a dog back around after they've collapsed. She explained: ''You need to get their body temperature down and you need to keep talking to them and stroking them and to keep them calm. ''If you had seen the scene before my mum started filming it was honestly like he was dead. Blue tongue, limp body and no signs of breathing. 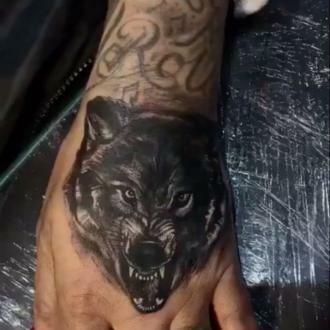 ''You also need to get your fingers down their throats to clear any blockage. ''You can see on the floor next to Louie is the food that I pulled out of his throat. Often I can feel that his throat has closed so I try to open it back up.